Totally Tweed! The preferred OEM tube of '50s-era Fender Tweed Champ and Deluxe amplifiers The Tungsol 6V6 has a geometry designed to safely handle the higher voltages used in guitar amps - plus heavier plate and grid materials. The result.. better mids and bottom while keeping the smooth top of the classic 6V6's. The Tungsol 6V6 breaks up evenly from low E to high up the neck. Blues players will LOVE these tubes for the way they sing! Totally Tweed! 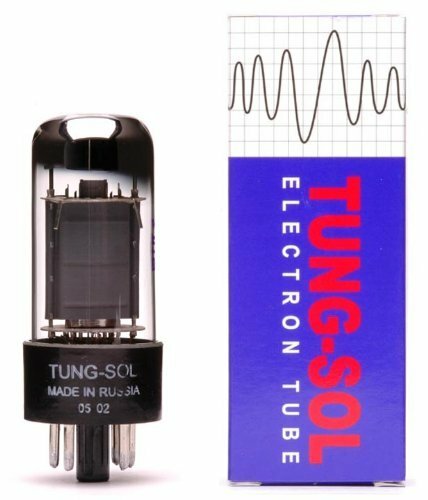 The preferred OEM tube of '50s-era Fender Tweed Champ and Deluxe amplifiers The Tungsol 6V6 has a geometry designed to safely handle the higher voltages used in guitar amps - plus heavier plate and grid materials. The result.. better mids and bottom while keeping the smooth top of the classic 6V6's. The Tungsol 6V6 breaks up evenly from low E to high up the neck. Blues players will LOVE these tubes for the way they sing! If you have any questions about this product by Tung-Sol, contact us by completing and submitting the form below. If you are looking for a specif part number, please include it with your message.